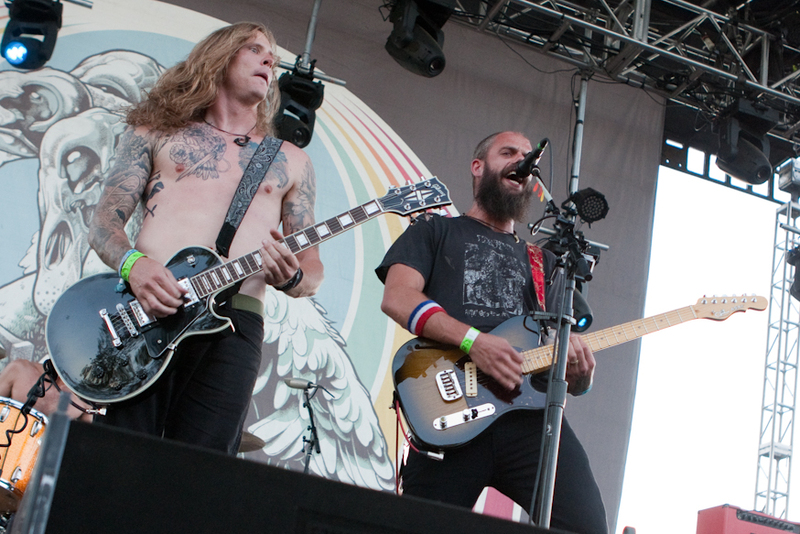 Rock band Baroness had a busy day this morning, releasing the single “Seasons,” along with announcing the dates for their upcoming Summer tour. The band has been one of the most interesting rock groups of the past decade, first bursting onto the scene with their 2007 project, The Red Album. Since then, the group has released a series of color based albums, with each bringing its own new ideas to the table. Now the band is getting ready to release their next project, Gold & Grey. The album is said to be the last in the set of “chromatically-themed records.” The newly released track, “Seasons,” is the second single for the project. The first single, a song titled “Borderlines,” was first teased in a live performance before being released to streaming services last month. The full Gold & Grey album will be released on June 14. The “Seasons” music video is a quick look inside the process the band undergoes when recording and producing a new track. Nearly completely filmed in black and white, the video depicts the bandmates simply doing what they love. Going back and forth between shots of the band recording and producing the track, fans get a chance to really see how the music is made. The track itself is fantastic, featuring amazing instrumental performances from all involved. The newly announced Gold & Grey tour is set to begin this July, opening up on the 11 with a show in Lancaster, PA. From there the group will tour across the United States, performing nearly nonstop for the next five weeks. Tickets for the tour will go on sale on April 12; this upcoming Friday. Fans of Baroness should be sure to check out the full list of dates below to see if the band is performing near them. Along with the tour dates, the new music video for the single “Seasons” can also be found below.